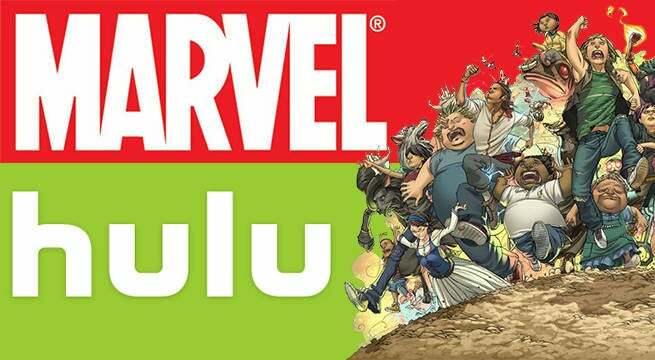 Marvel Television today announced it will bring the cult favorite comic book series Runaways to television via Hulu’s streaming service. Runaways follows a group of six teenagers in the Marvel universe – Nico Minoru, Karolina Dean, Molly Hayes, Chase Stein, Alex Wilder, and Gertrude Yorkes - who discover that their parents are secretly members of a supervillain cabal called The Pride. After deciding they’re no longer safe in their own homes, the kids go on the run. In the midst of hiding from their elders, the teens learn about themselves and become a family of their own. Josh Schwartz and Stephanie Savage will serve as showrunners on the series. Executive producers include Schwartz and Savage, Marvel’s Head of Television Jeph Loeb and Jim Chory. Fake Empire's Lis Rowinski will produce. Runaways was created in 2003 by writer Brian K. Vaughan (Saga, Y: The Last Man) and artist Adrian Alphona (Ms. Marvel, Uncanny X-Force) for Marvel’s now defunct Tsunami imprint. Originally intended as a miniseries, Runaways proved popular enough for Marvel to turn it into a monthly ongoing series. Runaways helped earn Vaughan an Eisner Award, and was named on the 2006 American Library Association's YALSA Top Ten Books for Young Adults list. Vaughan and Alphona departed in 2007. A series of other creative teams took over Runaways for a time, including Avengers director Joss Whedon. Eventually the series ended, with the characters being integrated into the larger Marvel universe. Victor Mancha, Ultron's son and a late edition to the team, became an Avenger, and Nico Minoru became a member of A-Force. Nico’s mother, Tina Minoru, appeared in the Doctor Strange movie prequel comic, already providing the series with a tie to the larger Marvel Cinematic Universe. Have you seen Suicide Squad yet? Want to win a Hot Toys Joker figure from the movie? All you have to do head on over to ComicBook.com's Movie Database or click the image above and rate the movie to enter! A winner will be chosen August 19th, 2016!